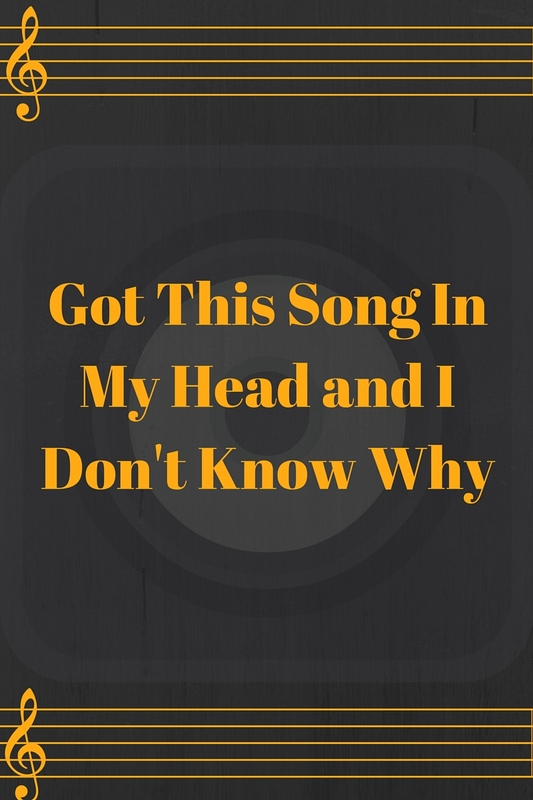 Have you ever started singing a tune that simply won’t leave your head, and then you wonder why/how it got there? Well, so have I.
I decided recently to start retracing my thoughts to see if I could better understand where/why it all began. Eventually I started singing out loud. 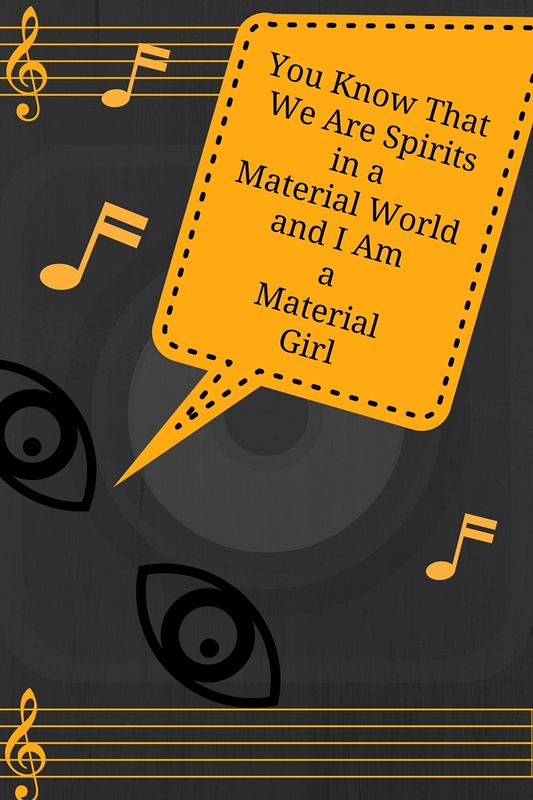 (All together now) “You know that we are spirits in a material world and I am a material girl”. In the shower, on the street on the way to the car, in the car, you get the idea. There, now it’s in your head too. Then it hit me. THOSE AREN’T THE WORDS. Has that ever happened to you or someone you know? Yeah, pretty silly right? What brought on this idea/notion/theme of spirit? Over the past two years there has been quite a bit of soul searching and discovery in my life. Lots of reading, reflecting, meditating; lots of listening, watching and studying. As a result, I have found it useful to reflect on both how I FEEL in any given moment and relate/compare that to what I have LEARNED over the years. I have been on sort of a personal quest to better understand how our individual and collective spirits move throughout our lives in this time and space. Genesis 1:26 Then God Said, “Let Us make man in Our image and according to Our likeness;…” It goes on to state in Genesis 1:27 So God created man in His own image; in the image of God He created him; male and female He created them. From time to time over the years since I first read this, I’ve thought about what those words really mean to me. For a long while I acted under the belief that because God is spirit and has no “physical image” that the scripture MUST be referring to us having been created in God’s spiritual image only. Makes sense. After all the song does say, “We are spirits in the material world”. I was ok with this notion for years. Then I started to think, what if we as (humankind) are actual extensions of God’s presence in the flesh. If that’s the case then perhaps the scripture means that literally we are created in God’s physical image because one can only “see” God in physical form as us. Hmmmn, interesting. And then last week I had a bit if a revelation. Erwin Schroedinger and his cat. Yes, you heard correctly, Erwin Schroedinger and his cat. Loosely explained, in the 1930’s Erwin Schroedinger performed a thought experiment in the field of quantum physics in an attempt to explore a relationship between two particular states of being. In this thought experiment, imagine if you will, a cat in a box and the box closed with no visible way of identifying the cat’s state of being at any time until the box has been opened. Also in this box, is a bit of cyanide and at a particular time, the poison is released within the box. Now, there is no way to tell without opening the box and looking inside, whether or not the cat is alive or dead. One could argue that until the box is opened, the cat is neither dead nor alive BUT BOTH dead and alive at the same time. Think, if a tree falls in the forest and there is no one there to hear it, does it make a sound. Now although this was only a thought experiment, and no actual cat was harmed during this exploration, it did give me insight into the image and likeness question. Could it be that God has/is BOTH no physical image and likeness AND EVERY physical image and likeness in existence? If this is true, and we are borne into existence as a reflection of that truth, then this is great news for all of us because it gives each of us true access. Creative access to all things; with unlimited potential, the power of choice and of free will, and a universe full of infinite possibilities. I think I like being created in BOTH the physical AND spiritual image and likeness . . . at the same time. Certainly makes it easier to live a fun and loving life. Guess I’ll never really know until it comes time for me to open that box. In the mean time, I intend to live everyday as though every thought and every moment matters. And by the time my box has been opened . . . assuming I am on the right track, ideally I will have already made my Mark. Ha ha ha get it, made my Mark, ya see what I did there? Because awareness matters. Our personal awareness matters so that we can take responsibility for our own thoughts, words and actions without imposing our own beliefs on someone else. In the world of infinite possibilities ALL beliefs are valid and really, who am I to judge, I’m a visitor on this planet just like you. We are clearly living in a time, especially here in the US, where hundreds of years worth of compounded separation has brought some of us to the point where it’s simply acceptable to discriminate, judge, point the finger at or blame someone else because they don’t look, act, speak, think, sound or behave the way we want them to; like us. particular of this political season. Many of you know what I mean and may even feel the same way. and I further understand that where my attention goes, the energy flows. That said, this compounded effect has created a present day dynamic that hi-lights and emphasizes ways in which we (humankind) are presumably different from each other, and as a byproduct we find that some people are constantly dumping on others in a way that promotes more dissention and separation. Can any one of us honestly say that behaving in this way actually feels good? The truth is that we (humankind) are far more alike than we are different; on a physical level, on a scientific level, on a metaphysical level and on a spiritual level. Know this to be true and act on it and lives will change forever. How we behave towards one another will change forever, how we treat each other on a day-to-day basis will change forever, and how we grow closer as a family of Oneness will change forever. Are you ready for the GREAT NEWS? Ok, here it comes. In spite of our present circumstances and an overall false appearance of lack and limitation, it is clear to me that we, at this very moment are all moving swiftly into a new level of higher consciousness. I can feel it within and around me, and perhaps you do as well. I intend to do my part and contribute meaningfully to our collective vibration as we shift into a space of more peace, more laughter, more joy, more happiness, more forgiveness, more patience, more passion, more giving, more kindness, more compassion and especially into a place of more LOVE; exactly the place where our collective energy wants to be. When Your Life Is Fulfilled, The World Becomes A Better Place. So, Do Something Everyday That Makes You Happy. There was a time when my wife used to remind me to be careful whenever I left the house; in fact she would tell me to fasten my seatbelt as she reminded me that I am her “special package”. As time marched on I heard it so much I eventually started taking it for granted. And so every once in a while I still needed to be reminded that I AM HER special package, and to buckle up for safety. These helpful reminders go a long way, and I’m thankful that my wife cares enough to care enough. I have officially started to refocus my attention on the things that are important to me; like my life. Tell me if this holds true for you. You start out the year with a great plan and an awesome direction. Somewhere along the way you veer slightly off course all with the intention of making it up somewhere down the road or the day after that. Pick an area, any area of life; be it finance, fitness, health & wellness, savings, personal development, the stories are all the same. As life happens, we seem to get distracted by all the stuff that life sends our way. Little by little, a sacrifice here a compromise there, and before long, where we are looks nothing at all like where we hoped we’d be. We all know that a little snack here and there by itself is relatively harmless, but compounded over time with a lack of proper exercise and rest . . . yikes a total recipe for disaster. So here I stand at the end of December 2013, looking up to find myself tipping the scales at a whopping 268 pounds. Yeeesh, talk about making a series of slight edge decisions in the wrong direction – compounded over time, and yielding THIS result. No one to blame but myself. That aside for now . . .
I’m watching a rebroadcast of a television interview on The View, with the cast of the movie The Best Man Holiday. Now on a personal note, I have a special place in my heart for this film because I was fortunate enough to work as the Key Set PA on The Best Man almost 15 years ago. A great experience complete with memories that I won’t soon forget.I’m watching this interview and out come the men. Taye, Harold, Morris and Terrence. And hanging in the background of the set, was a full poster sized picture of a shirtless Morris Chestnut. How can I compete? As if I’m not self-conscious enough. Now I find myself staring at this picture (as there was plenty of time to do so during the screaming applause) and I realize that, that looks nothing like me. I’m watching this show while sitting back and polishing off a plateful of non-whole wheat spaghetti from last night, sprinkled with some bacon and layered with scrambled eggs cooked in bacon grease. I’m even soakin’ up the sauce with a couple of slices salt buttered toast . . . it’s no wonder that picture looks nothing like me. Something has to change, and it has to change now. Add to the mix, the fact that my wife . . .well lets just say, she’s yelled at ME before . . .for several reasons, on many occasions, but she has nary a bad word or thought in her mind when it comes to Morris Chestnut. In fact, beaming might best describe her response to him anytime he appears on the screen. Can’t say I blame her, he is a talented handsome brother. Hey wait, I’m talented, I’m handsome . . . I used to make my wife beam, what happened? “ One more scoop of butter pecan or dulce de leche please”. “Just one more little dollop of whipped cream”. “Yep make that a super-sized will ya? . . oh and I’ll take the diet Coke”. Oh, maybe it’s just me. Gone are the days I say. Just sharing this with each of you starts me on the road to recovery, and that’s not all. I had a conversation with one of my business mentors who gave me some very useful nutrition tips. I’ve already started running again. And most importantly I have made the DECISION to change my habits, and change my life. I will be better and I have each of you to help keep me accountable. 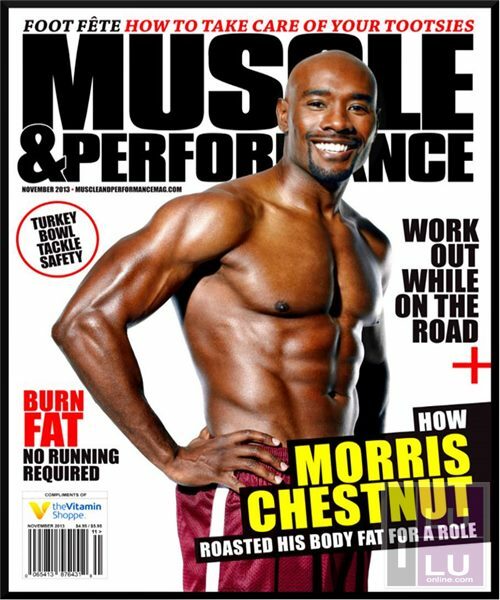 As I make the journey this coming year to reach my target weight, I am reminded of a brief moment I had with Morris when I was accompanying him to a rehearsal or a fitting some years ago, and he was carrying a gallon of water in a plain clear jug and he shared with me that his trainer has him drinking a gallon of water a day. I thought to myself that seems extreme. This was back in ‘98/’99. He was making slight edge decisions in the RIGHT DIRECTION fifteen years ago, and his resuls speak for themselves. I too was making slight edge decisions, regrettably in the WRONG DIRECTION and justifiably, those decisions speak for themselves as well. As you might guess, my results tell an entirely different story than his. Perhaps this is the motivation I need to go out and get back into solid fighting form. Perhaps simply having the satisfaction of knowing that if he can do it, I can too, is enough to get me through the year. Perhaps knowing that my wife is still holding onto and showing love and support for her “special package” after all these years, is confirmation enough. Or Perhaps knowing that I have complete control over how that package comes home to her everyday; gift wrapped to perfection, is all the satisfaction that I need.